Close the Mexican border? Farewell to avocados! President Trump’s threat to close the border with Mexico will have a major effect on one beloved food: avocados. US production has not changed much since 1990 or so. If anything, it has dropped in recent years. Pounds of avocados available per capita have increased from less than one in 1990 to more than seven pounds now. That’s the pounds available to every man, woman, and baby in the country, less exports, plus imports. All of the increase comes from imported avocados. Of imported avocados, more than 89 percent come from Mexico. Reuters says if the border closes, we run out of avocados in three weeks. The Washington Post says if the border closes, avocados could be—toast (I’m quoted). Trump’s NAFTA deal with Mexico: What about Canada? The basic agreement does not say much about agriculture, but the Trade Representative has produced a separate fact sheet for agriculture. The agreement specifically addresses agricultural biotechnology to keep up with 21st Century innovations. And we mutually pledge to work together with Mexico to reduce trade-distorting policies, increase transparency, and ensure non-discriminatory treatment in grading of agricultural products. This is nothing short of a great victory for farmers and ranchers because…Mexico has historically been a great customer and partner. We now hope that Canada will see the need to settle all of the outstanding issues between our two nations as well, and restore us to a true North American Free Trade Agreement. It is our wish, Mr. President, that now Canada will also be able to be incorporated in all this. And I assume that they going to carry out negotiations of the sensitive bilateral issues between Mexico — rather, between Canada and the United States. According to the New York Times, Canada is scrambling to get in on the deal. Why? Three-quarters of its exports go to the U.S., and automobile supply chains are at issue. Also according to the New York Times, Congress calmed things down a bit and the White House is giving Canada more time to figure out how to handle all this. According to Vox, here’s how that happened. Trump argues that NAFTA has been bad for the United States. That is unlikely. It’s been much worse for Mexico (see, for example, Alyshia Gálvez’s Eating NAFTA: Trade, Food Policies, and the Destruction of Mexico, out next month). I haven’t said anything about NAFTA since August, but events are moving so quickly in the Trump administration’s attempts to undo this trade agreement with Canada and Mexico that I’m having a hard time keeping up (Politico Morning Agriculture helps). The National Association of State Departments of Agriculture (NASDA) and similar groups in Mexico and Canada issued a joint statement calling on their governments to make sure that whatever gets done to NAFTA does not hurt agriculture. Furthermore, a NAFTA withdrawal would affect specific agriculture sectors. These effects are outlined in a letter to Commerce Secretary Wilbur Ross signed by numerous agriculture organizations. Poultry: In 2016, U.S. poultry exports were 7.95 billion pounds, over 16 percent of total production. Canada was the second-largest market for the chicken industry and in the top five for turkey. Almost 70 percent of U.S. exports of turkey go to Mexico. High-fructose corn syrup: U.S. exports to Mexico would decrease by $500 million per year. Fruits and veggies: Canada and Mexico account for 18 percent of U.S. fresh fruit exports and 60 percent of U.S. fresh vegetable exports. Since 1993, fruit and vegetable exports from the U.S. to Mexico and Canada have more than tripled, totaling $7.2 billion. Beef: In 2016, U.S. beef exports to Mexico and Canada exceeded $1.7 billion and accounted for 27 percent of total U.S. beef exports. Dairy: Over $1 billion a year in U.S. dairy products are shipped to Mexico. In other words, food and agriculture groups view NAFTA as good for US agriculture. They do not view it as so broken that it needs fixing. I can’t believe that I am writing about sugar policy again. The Trump Administration has just gotten a preliminary agreement with Mexico about the sugar it exports to us. Mexico says OK, (1) it won’t make us pay as much for it, and (2) it will restrict how much refined (white) sugar it sends. This is great for U.S. sugar processors who turn raw sugar into white. They want Mexico to send raw sugar so U.S. processing plants stay busy. But food and beverage companies making products will have to pay more for sugar. They belong to the Coalition for Sugar Reform, which is not happy about the agreement. We threatened to impose tariffs. Mexico threatened to stop buying our high-fructose corn syrup (it currently buys 80% of our HFCS). Three years ago, we got Mexico to agree to set minimum prices and limit the amount of sugar it sells to us. The new arrangement confirms that deal, at least for the moment. As for us public health types, sugar policy is endlessly weird. Domestically, we don’t produce enough sugar to meet demands so we have to import sugar from other countries. We keep domestic prices high through quotas, buy-backs and price-support loans. This ought to discourage consumption, but does not. How come? Because the higher price, amounting to billions a year overall, works out to only about $10 per year per capita. The US International Trade Commission did a report in 2011 stating that a liberalized sugar trade policy would increase food sales. The American Enterprise Institute says higher sugar prices cost Americans almost $3 billion a year. Who knew that such things existed, let alone that they would be directed at anti-obesity and pro-soda tax advocates. laced with an invasive form of spyware developed by NSO Group, an Israeli cyberarms dealer that sells its digital spy tools exclusively to governments and that has contracts with multiple agencies inside Mexico, according to company emails leaked to the New York Timeslast year. Citizen Lab has more information about this situation. Dr. Simon Barquera is a well-respected researcher at the Mexican Government’s Instituto Nacional de Salud Pública (National Institute of Public Health). Alejandro Calvillo is the Director of El Poder del Consumidor, a consumer rights and health advocacy organization. Luis Encarnación is the Director of the Coalición ContraPESO, a coalition of more than 40 organizations that work on obesity prevention and reduction strategies. All three individuals work to support Mexico’s soda tax. I am leaving on Wednesday for three weeks on a Fulbright to the National Institute of Public Health in Cuernavaca and hope to find out a lot more about this. Stay tuned. In the meantime, here’s a tweet from someone I don’t know (I like the soda cans). Late addition: Gary Ruskin sends his paper on corporate espionage against nonprofit organizations. 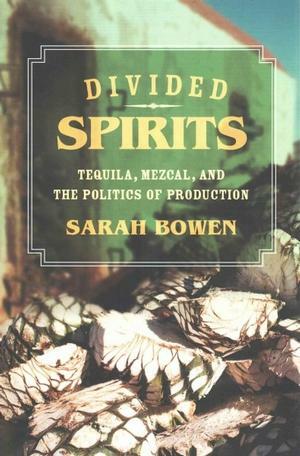 This remarkable book, a recent addition to UC Press’s series on California Studies in Food and Culture, uses drinks distilled from roasted, fermented agave as a basis for entering into debates about production and protection of indigenous food products in the face of globalization. In recent years, traditional foods and drinks have emerged as profitable and politically salient alternatives to the perceived homogenizing effects of globalization. Initiatives like the Slow Food movement and DOs [denomination of origin] attempt to rescue eating establishments, dishes, and products from the flood of standardization engendered by the industrial food system. In doing so, they strive to support the rural communities, farmers, and processors involved in the production of traditional products. And yet, as my research shows, efforts to regulate Mexico’s iconic spirits illustrate the limitations of relying on alternative markets to protect food cultures and the livelihoods of those who produce them. My work demonstrates how cultural symbolism can be manipulated to perpetuate and deepen long-standing inequalities along global commodity chains. 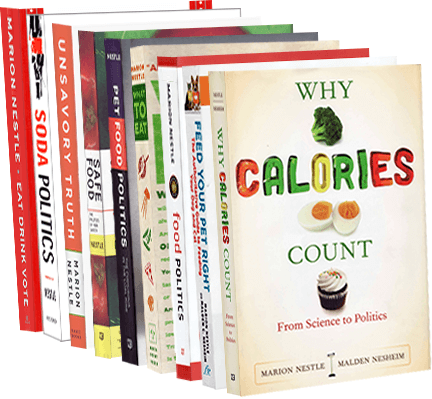 Consider this book with your next Margarita. Yesterday Mexico’s Congressional Finance Committee proposed and voted in favor of an alarming measure to reduce the rate of the current 10% sugar-sweetened beverage tax to 5% on products with 5 grams of added sugar or less per 100 milliliters. The measure was pushed through committee vote with a reservation from only one political party and moves on to a vote in the lower house within the next 24-48 hours. Beverages with more than 5 grams of added sugar per 100 milliliters would continue to be taxed at 10% (1 peso per liter). After several recent press conferences and an act in Congress “to trap” industry lobby mosquitos (Oct 6), continuing to call for an increase to a 20% SSB tax in accordance with national and international expert recommendations, and warning the public and decision makers of industry lobby, today civil society advocates –the Nutritional Health Alliance and ContraPESO– published a full page ad in Mexico’s most important daily asking whether legislators are on the side of public health or soda industry interests and calling on them not to cede to the industry lobby. In the ad (see translation below and image attached), advocates warn that the most currently consumed 600 ml sugary drink on the Mexican market that has 5 grams of sugar per 100 milliliters contains 30 grams of sugar, above the WHO’s new guidelines for healthy living. The language of the initiative to reduce the tax recognizes the SSB tax as a public health measure and the progress made, yet proceeds to reduce the tax far below the expert recommended rate, representating a setback to Mexico’s landmark tax. FYI: Although Mexico’s lower house of Congress (Chamber of Deputies) holds authority over final budget decisions on income, Mexican legislative process entails that the budget package, once voted in the lower house, passes to the Senate for review and a vote, before passing back to the lower house for final approval. Do you serve soda industry or public health interests? – The tax on sugar-sweetened beverages is 10% (1 peso) and not 20% (2 pesos) per liter as recommended by international and national organizations. – The proposal to lower the tax to 5% to beverages with 5 grams or less of sugar per 100 milliliters acquiesces to soda industry interests, which are the parties mainly responsible for the collapse of public health in Mexico. – The most consumed 600 milliliter drink in Mexico has 5 grams of sugar for every 100 milliliters contains 30 grams of sugar (6 spoonfuls). – Sugar is not an essential nutrient and there is solid evidence showing that its consumption is harmful to health, contributing to overweight, obesity and caries, serious public health problems in Mexico. DO NOT GIVE IN TO INDUSTRY PRESSURE! Show that you work to protect the public health of the Mexican population and not Big Soda’s profits. We demand that the special tax be preserved and increased to 20% for ALL SUGAR-SWEETENED BEVERAGES, as recommended by international and national organizations.